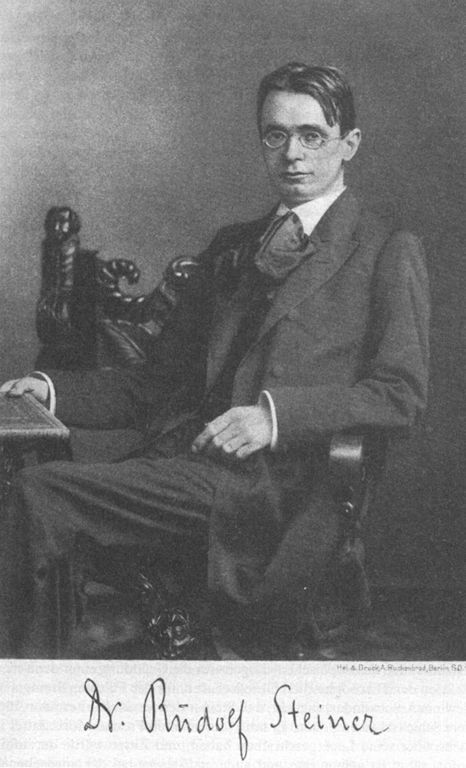 Dr. Rudolf Steiner (1861 – 1925) was an innovative academic born in Austria whose ideas founded the basis of Anthroposophy. He wrote and lectured on a wide range of contemporary issues including architecture, medicine, philosophy, science, economics and social reform as well as education. Steiner Waldorf schools, biodynamic agriculture and a variety of therapeutic and curative initiatives are amongst the most well-known practical applications of his work. Anthroposophy means literally, ‘human wisdom’, or ‘knowledge of the human being’. Steiner maintained that the spiritual world could, by means of conscientious inner development, be investigated empirically in the same way that natural science can investigate the physical world and so contribute to the understanding of child development.